In the years after his death, the Yeats family donated a large and invaluable collection of W.B. Yeats' manuscripts to the National Library of Ireland. This book, like the exhibition it accompanies, is designed to celebrate that collection and to publish a small selection of its treasures. The focus of the book, brought together by three of the Yeats Exhibition's curators, is on the life of W.B. Yeats. 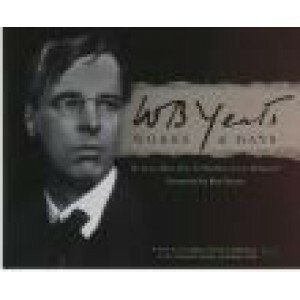 It presents a succinct account of his works and days, richly illustrated with photographs and reproductions of paintings, manuscripts and books, many drawn from the National Library's Yeats Collection. It is a perfect momento of the Yeats Exhibition, the biggest exhibition devoted to Yeats and his work ever mounted in Ireland. Publication Data Published by the National Library of Ireland in association with Wordwell, hardback, 177pp, illustrated.